Earth, Wind & Fire is the self-titled debut studio album by the band Earth, Wind & Fire, released in February 1971 by Warner Bros. Records. The album got to No. 24 on the Billboard Top Soul Albums chart. Off the album the track Love Is Life rose to No. 43 on the Billboard Hot Soul Songs chart. Reviewing the album in 1971, Lester Bangs of Rolling Stone applauded the music's "heavy Sly influence", with "rippling flute streams" and "highball bop" being present throughout. The Village Voice critic Robert Christgau was ambivalent towards the album's various musical "cross-references", including "the expert vocal harmonies [that] neither fit the concept nor assert any personality of their own", and said that even its successful songs have "a way of slipping away unnoticed once the record is over". As well AllMusic editor John Bush gave the album four-and-a-half out of five stars and complimented its songs' "freewheeling arrangements". Bush found the songwriting "as strong and focused as the musicianship" and praised the songs' social context, noting "unerringly positive compositions, reflecting the influence of the civil rights movement with nearly every song urging love, community, and knowledge as alternatives to the increasing hopelessness plaguing American society". Billboard also noted "soul oriented rhythms and harmonies" on the album with songs which encourages one "to move on the dance floor". "Bad Tune" was sampled by Lupe Fiasco on the track "Carrera Lu" off his album Food & Liquor and Brand Nubian on the track "Dance to My Ministry" off their album One for All. Rapper Ghostface Killah sampled "Love is Life" on the track "Miguel Sanchez" off his album More Fish. As well "Moment of Truth" was sampled by LL Cool J on the track "Murdergram" off his album Mama Said Knock You Out and Kid N' Play on the track "Energy" off their album Funhouse altogether. ^ "Earth, Wind & Fire: Love Is Life". 45cat.com. ^ "Earth, Wind & Fire: Love Is Life". billboard.com. ^ a b c Bush, John (August 1, 2003). 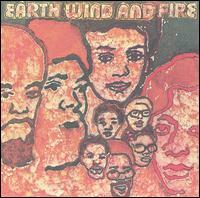 "Earth, Wind & Fire: Earth, Wind & Fire". allmusic.com. ^ a b "Earth, Wind & Fire: Earth, Wind & Fire". robertchristgau.com. Village Voice. ^ a b Bangs, Lester (June 24, 1971). "Earth, Wind & Fire: Earth, Wind & Fire". rollingstone.com. ^ a b Album Reviews. Billboard Magazine. March 20, 1971. p. 44. ^ a b "Earth, Wind & Fire: Earth, Wind & Fire". whosampled.com. ^ "French album certifications – Earth, Wind & Fire – Earth, Wind & Fire" (in French). Syndicat National de l'Édition Phonographique. This page was last edited on 11 March 2019, at 06:43 (UTC).